Selecting the right PCB material holds utmost importance as it determines the board’s performance and scope of application. At Sierra Assembly technology, Inc., we always emphasize on creating and delivering high-quality custom PCB assemblies using the right PCB materials. We consider several factors including thermal, electrical, chemical and mechanical properties of different PCB materials and choose the right type that rightly supports the design and application. 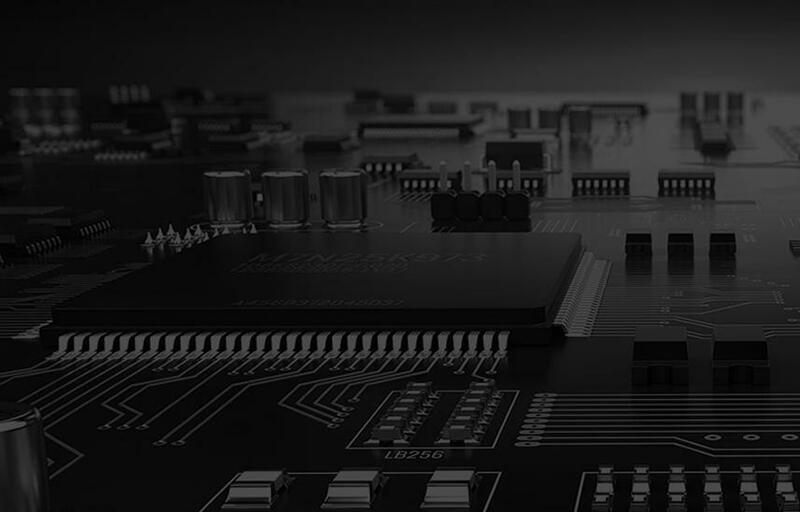 Our immense material knowledge and PCB assembly expertise allow us to take up any challenging PCB project. With the right substrate selection, we bring you the performance-driven PCBs , which are compliant with ISO 9001:2015+ AS9100D, ISO 13485, ITAR, STD-001, and IPC standards. FR-4:FR is an abbreviation of Flame Retardant. is the material is a glass fiber epoxy laminate, and is flame retardant and water resistant. The material derives its flame retardant qualities from a resin binder. The FR-4 exhibits high electrical insulation properties, good fabrication capabilities, good tensile strength, and strength to weight ratios. This is the material of choice when designing highly dense and multilayered circuits. FR-5: This is a glass fabric reinforced material featuring an epoxy resin binder for high temperature applications. FR-5 exhibits excellent mechanical properties at high temperatures and humid conditions. Owing to these properties, the material offers excellent performance in lead-free soldering. The material is valued for its high mechanical strength, good dielectric constant, low moisture absorption, and high chemical resistance. FR-3:This material features a composition of an epoxy resin binder and hard paper. This is used for budget-friendly consumer electronics such as TV, computer and telecommunication applications. CEM Materials: Composite Epoxy Materials (CEM) is a group of composite materials produced from non-woven glass, and woven glass fabric surfaces. These materials are combined with epoxy synthetic resins for improving their mechanical properties. Easy punching, excellent electrical properties, and higher flexural strength make these materials a popular choice for PCB assembly. We use the following CEM materials for PCB design. CEM-1: This is a flame-retardant material featuring a cellulose paper laminate, and a single layer of woven glass fabric. CEM-2: This material features a woven glass fabric surface and cellulose paper core. CEM-3: This flame retardant material shares similar properties as FR-4. CEM-4: This material looks similar to CEM-3, but is not flame-retardant. CEM-5: This material features a polyester woven glass core. Rogers Corporation: These materials are FR-4 compatible, and are engineered for your exact performance requirements. These materials provide excellent results owing to their superior mechanical properties such as low dielectric loss, low signal loss, high thermal conductivity, and controlled impedance. Available with UL 94 V-0 flame retardant versions, these materials are chosen for PCBs meant for aerospace and defense, automotive, high-speed digital and advanced chip packaging industries. Arlon: These high performance laminates with specialized electrical, thermal, mechanical, or other performance characteristic are largely used in wireless communications infrastructure, military and commercial avionics, and semiconductor test and measurement equipment. We employ Arlons DiClad and CuClad series for high frequency PCBs. The DiClad series are low loss laminates, and CuClad is cross-plied woven PTFE/fiberglass. High Tg: This refers to high glass transition temperature. We employ these materials for PCBs used in critical and demanding applications including printed circuit boards exposed to high thermal loads. The material offers excellent performance at high temperatures, and exhibits good delamination property. Pyralux: Designed to offer excellent functional performance and high reliability, these materials are used for flexible circuit boards. This polyamide material resists heat, exhibits good dimensional stability, and has a low dielectric constant. At Sierra Assembly, we provide customized PCBs, as well as RoHs compliant PCBs to meet specific client requirements. This demonstrates our capability to work with a variety of composites and substrates, apart from the ones discussed above. To know more about using the right material for your PCB, or any of our PCB assembly processes, contact us on our toll-free number 909.355.5400 or email us at sales@sierraassembly.com .